Tom Ford's signature base, The Windsor, is an elegant and well-balanced classic fit with inspiration drawn from the end of the 1940s to the beginning of the 1950s. 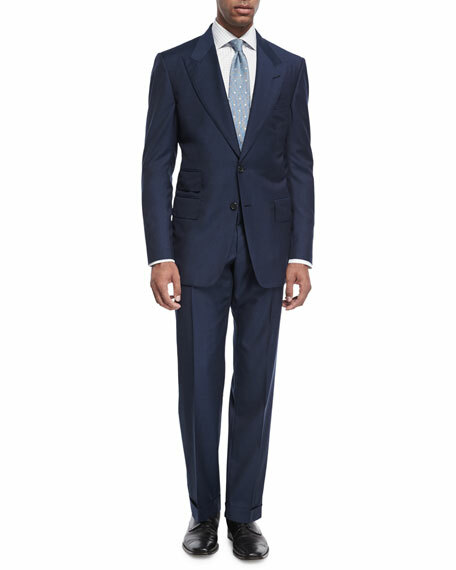 TOM FORD "Windsor" base two-piece suit in micro-pinpoint wool. Front flap pockets, ticket pocket, and hand-cut welt pocket. Signature Tom Ford details such as hand-rolled three-fold hand cord and exclusive blend lining. 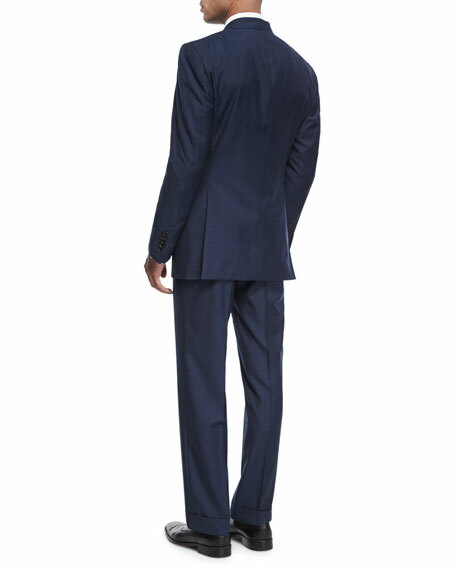 Flat-front trousers with side adjusters. Trouser side pockets follow seam for clean lines. Internal pleated skirt lining in pants to keep shirt in place for smooth finish. 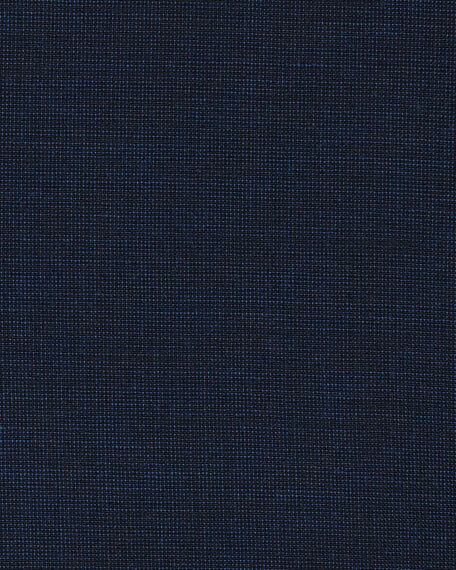 Suit/Jacket will ship with prepped sleeves and a set of buttons. Please contact the Bergdorf Goodman store for proper finishing of your garment. For in-store inquiries, use sku #2215916.